Northern Province Chief Minister C.V. Wigneswaran has called upon Tamils to set aside their differences and participate in the ‘Remembrance Day’ event, remembering those who were killed in Sri Lanka’s civil war, to be held in Mullivaikkal on Friday. Located on the eastern tip of Mullaitivu district in Sri Lanka’s Northern Province, this tiny village bears the scar of the brutal finish to the island’s three-decade-long-civil war that left scores of Tamil survivors with rather disturbing memories. The UN estimated nearly 40,000 deaths during the final phase. 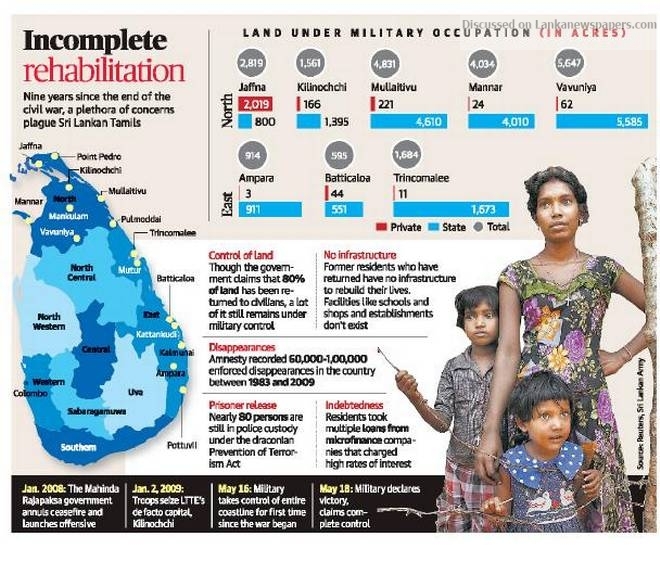 On May 18, 2009, the Sri Lankan armed forces declared an end to the bloodshed after killing LTTE leader Velupillai Prabhakaran in the Nandikadal lagoon, on the edge of Mullivaikkal village. The aftermath of decades of strife and violence has severely impacted institutions and the economy in the war-affected north and east, stifling the community that struggles to put their past behind. Though the years of war, families were displaced multiple times, thousands mysteriously disappeared, and several were seriously injured. “Whereever our Tamil people might be, let us come together on that day to remember the massive human destruction that our community was subjected to,” Mr. Wigneswaran said in a statement. He urged people to take efforts to unite on the “tragic day” every year. Requesting traders and businessmen to keep their shops closed till noon, he said students from Jaffna University and several others would culminate in Mullivaikkal on Friday, to pay respects to the dead. Nine years after the war, the country remains sharply divided on how to commemorate its end, indicating that the end of the war may not mean that the conflict that led to it has been resolved. 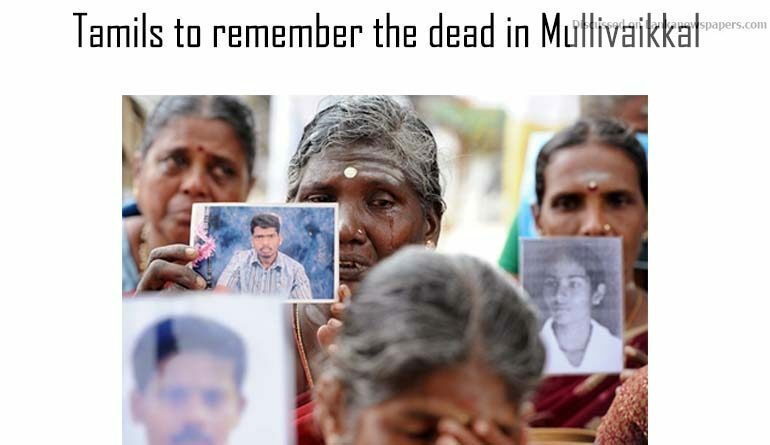 Sri Lankans who mark the day, either mourn or celebrate, depending on their narrative of the war. Many Tamils observe May 18 as ‘Remembrance Day’ to remember their dear ones who lost their lives, while the government commemorates May 19 as ‘Ranaviru (War Heroes) Day’ to salute the soldiers who defeated the Tigers. Sri Lanka’s Army Commander Lieutenant General Mahesh Senanayake on Thursday urged people to refrain from “exaggerated glorification” of the end of the war. “Great war heroes must not be manipulated to serve narrow objectives and personal agendas, nor should they be incited to resort to emotional and anti-social acts,” he said in a statement, ahead of ‘National War Heroes Day’ to be held on Saturday. President Maithripala Sirisena will participate in a commemoration, followed by special prayers organised by the Army, at the Buddhist temple in Kelaniya, a suburb of Colombo.